Day 9: Bambo Sibiya is a contemporary artist from South Africa. 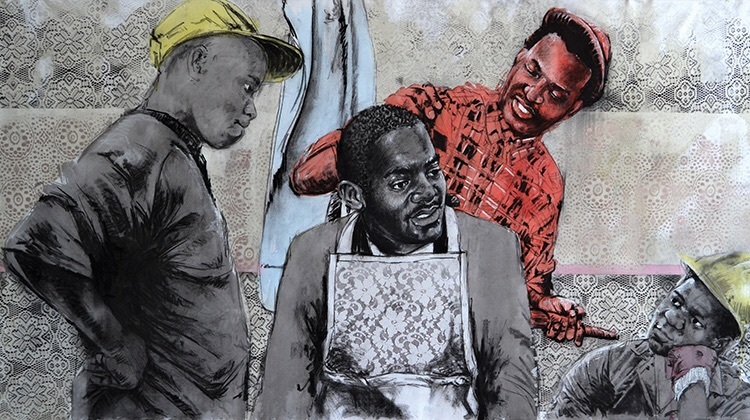 His work usually offers insight into community life on the streets of Joburg. Picking these two paintings was very tough. His range of style is broad & you get a different sense of what you think he's communicating depending on which work you look at. Below is a short clip of Sibiya at work.